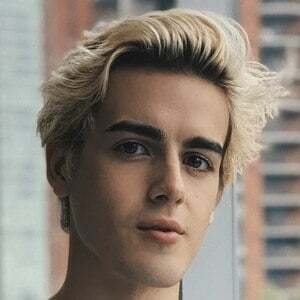 Known for playing contemporary dancer Daniel on the Family Channel hit series The Next Step, he was named Mr. Onstage New York in 2006 and Mr. Showbiz 2008. He also runs the YouTube channel Brit and Bren with Brittany Wynn. He trained in a variety of dance styles, including jazz, ballet, tap, hip hop, and more. He was a student at the National Ballet School of Canada. He appeared on Canada's Got Talent and Degrassi: The Next Generation. He is from Ontario, Canada. He attended Juilliard for dance. He stars alongside Samantha Grecchi on The Next Step.